It is imperative that you call now for a free confidential assessment for drug & alcohol detox centers in Rhode Island. We are professionals who can help get you or a loved in the right facility depending upon your needs don't wait, call now! 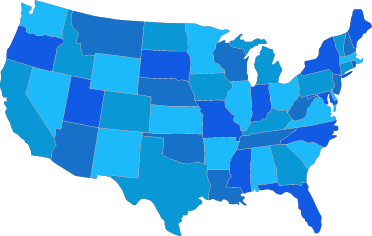 Many would assume that Hawaii is the smallest state, but that designation actually goes to Rhode Island. Located in the American New England, Rhode Island is just a short distance from New York City and Boston, but offers all the quaint charm you’d expect from some of the oldest communities in the country. Due to its ideal location and gorgeous scenery, Rhode Island is becoming a popular destination for recovery. With many addiction treatment and detox centers located throughout the tiny state, Rhode Island should be at the top of your list for the best place for your recovery. In spite of the heroin and opioid epidemic that has taken much of the United States, alcohol remains the most problematic substance for Rhode Island. According to surveys conducted with Rhode Island high school students, no less than 14 percent of female teens had their first episode of alcohol abuse prior to the age of 13. With alcohol being such a problematic substance in Rhode Island, it follows that there would be more frequent drinking-and-driving incidents in the state. Sure enough, of all the individuals who are arrested by police officers for driving problems, about 12 percent are intoxicated from alcohol at the time of the arrest. Throughout the United States, there are millions of addicts who are in need of treatment, but aren’t receiving it. Of the entire Rhode Island population, at least five percent are addicts who are in need of treatment that they’re not getting. Use of tobacco products remains high among adolescents and teens in high schools nationwide. However, there are far less Rhode Island high school students using tobacco products with more than 65 percent having never tried a tobacco product before in their lives. There’s a major problem with underage alcohol use across the United States; however, there are fewer Rhode Island adolescents abusing alcohol than there are nationwide at 16 percent and 20 percent, respectively. Those Rhode Islanders may be a small group, but they’re passionate about their little spec of a state. As well, they welcome anyone who comes to visit or who wants to make Rhode Island their temporary or long-term home. With such an accepting and hospitable community, Rhode Island is a great place for you no matter if you’re in advanced recovery or still getting sober. DATA of RI — which stands for the Drug and Alcohol Treatment Association of Rhode Island — is a nonprofit organization that was started in 1986 for the purposes advocating for and representing public and private addiction treatment in a variety of forums. RICARES, or the Rhode Island Communities for Addiction Recovery Efforts, is a grassroots alliance of volunteers from communities located throughout Rhode Island. The goal of this organization is to organize and advocate for recovery communities with a focus on eliminating the stigma associated with addiction and making treatment more accessible to those in need. The Rhode Island Association for Addiction Professionals is the Rhode Island-based chapter of the NAADAC, consisting of representatives of the community of recovery professionals who are scattered throughout the state. This organization is largely tasked with overseeing the training, licensing, and credentialization of addiction professionals in Rhode Island. The Providence Center for Mental Health and Addiction Treatment Services is an independent organization that aims to be a vital resource for those who suffer from addiction. Specifically, this group helps individuals to find recovery resources that address their needs and fit their budgets. The Mental Health Association of Rhode Island — or MHARI for short — is a state-level organization that ensures Rhode Island residents receive the mental health treatments they need, regardless of their income level. However, with the recent addiction epidemic occurring throughout the U.S., this group has mostly been dealing with substance abuse. In the tiny state of Rhode Island, many people cherish memories of young individuals they knew who tragically died from drug overdoses. However, Rhode Island playwright Ana Bess Moyer Bell is changing the conversation surrounding substance abuse and addiction through theater. Bell has created a play that consists of a short story that will encourage people to talk openly and without judgment about addiction. The play — and its two separate versions — opens this fall in Massachusetts and, hopefully, nationwide soon thereafter. Click To Learn More About CLICK HERE TO LEARN MORE ABOUT RHODE ISLAND'S HEROIN EPIDEMIC. PLUS MORE INFORMATION ABOUT LOCAL DETOXES AND REHAB CENTERS, DRUG STATISTICS, ALCOHOL AND MARIJUANA LAWS.